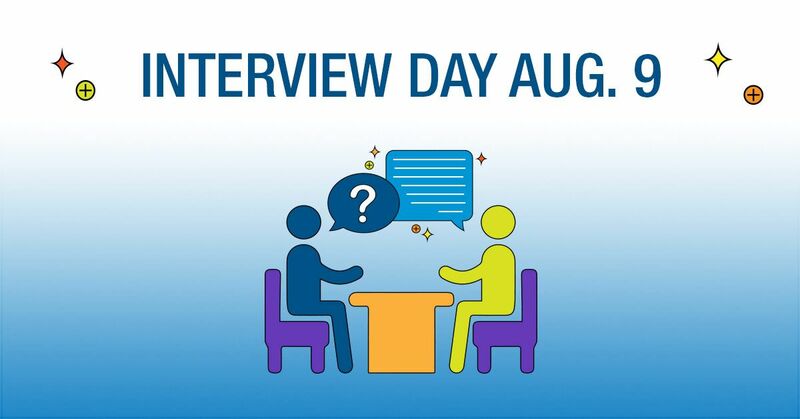 Express Employment Professionals’ first annual National Interview Day takes place today at Express locations throughout North America! Contact a sales rep from your local Express office today so we can be on the lookout for great talent to meet your staffing needs. Or, if you know someone looking for a job, send them our way! If you know someone who needs a little help finding their next job, tell them to apply now to join their local Express Employment Professionals office for National Interview Day. Applying online will expedite the interview process and allow us to schedule a time for them to interview. Applicants are contacted for interviews based on the time of their application and the type of work they are seeking. And remember, Express never charges job seekers a fee to find a great job. For more information about National Interview Day, visit ExpressPros.com/InterviewDay.